Why We Want to Cook More with This Powerhouse Ingredient! There's been extensive research done on curcumin, a derivative of turmeric, and the pigment that gives the curry spice, turmeric, its yellow-orange color. This research provides volumes of evidence-based literature supporting its use against the major modern day diseases we're seeing so much of now. Curcumin has the ability to modulate genetic activity and expression, both by destroying cancer cells, and by promoting healthy cell function. Research also shows that it works synergistically with certain chemotherapy drugs, enhancing the elimination of cancer cells. It not only combats cancer, studies show it's a strong cancer preventer! A primary way in which curcumin does so is by enhancing liver function. Additionally, other mechanisms by which it may protect against cancer development include inhibiting the synthesis of a protein thought to be instrumental in tumor formation and preventing the development of additional blood supply necessary for cancer cell growth. Still talking cancer, it inhibits cancer cell growth and metastases. Epidemiological studies link the frequent use of turmeric to lower rates of breast, prostate, lung, and colon cancer, and laboratory experiments show curcumin can prevent tumors from forming. And yet more cancer talk: A combination of turmeric and onions is thought to help prevent colon cancer, and a combination of turmeric and cauliflower is showing it halts prostate cancer (the second leading cause of cancer death in American men with 500,000 new cases appearing each year). For a tasty protection against prostate cancer, cut cauliflower florets in quarters and let sit for 5-10 minutes; this allows time for the production of phenethyl isothiocyanates, which form when cruciferous vegetables are cut, but stops when they are heated. Then sprinkle with turmeric, and healthy saut&3acute; on medium heat in a few tablespoons of vegetable or chicken broth for 5 minutes. Remove from the heat and top with olive oil, sea salt and pepper to taste. 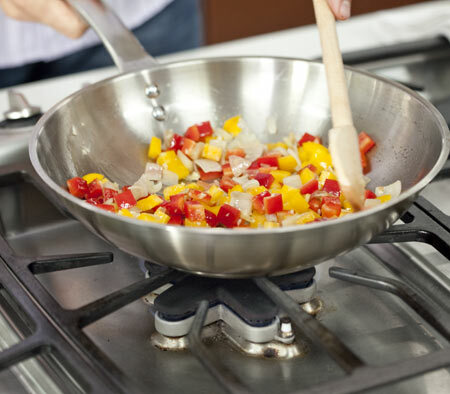 And what IS a healthy sauté Start by heating 1 TBS of broth in a stainless steel skillet over medium heat. Once the broth begins to bubble add onions and saut‚ stirring frequently. After the onions have cooked for about 5 minutes, you can then add other ingredients such as garlic, or fresh ginger. Once they have had a chance to cook together for just another minute, add other vegetables. 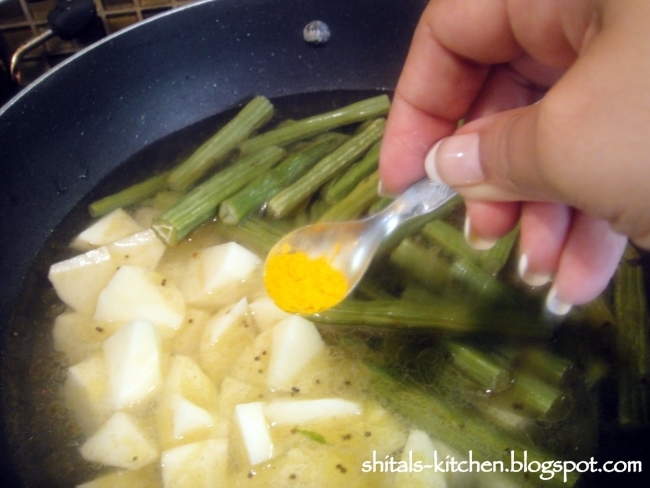 This method enables you to have flavorful saut‚ed vegetables without heating oil. Research presented at a recent conference on childhood leukemia, held in London, provides evidence that eating foods spiced with turmeric could reduce the risk of developing childhood leukemia. The incidence of this cancer has risen dramatically during the 20th century, mainly in children under age five, among whom the risk has increased by more than 50% cent since 1950 alone. It's also a potent, yet safe anti-inflammatory and produces no toxicity. It's an inexpensive, well-tolerated, and effective treatment for inflammatory bowel disease (IBD) such as Crohn's and ulcerative colitis. It carries powerful antioxidant effects that offer relief for rheumatoid arthritis. It neutralizes free radicals. Turmeric's combination of antioxidant and anti-inflammatory effects explains why many with joint disease find relief when they use the spice regularly. It's been proven to correct the most common expression of the genetic defect that is responsible for cystic fibrosis. Cystic fibrosis, a fatal disease that attacks the lungs with a thick mucus, causing life-threatening infections, afflicts about 30,000 American children and young adults, who rarely survive beyond 30 years of age. The mucus also damages the pancreas, thus interfering with the body's ability to digest and absorb nutrients. Recent studies also show the curcumin in turmeric improves liver function. And even more research shows curcumin may be able to prevent the oxidation of cholesterol in the body. Since oxidized cholesterol is what damages blood vessels and builds up in the plaques that can lead to heart attack or stroke, preventing the oxidation of new cholesterol may help to reduce the progression of atherosclerosis and diabetic heart disease. In addition, turmeric is a good source of vitamin B6, needed prevent elevation of homocysteine levels. High levels of homocysteine are a significant risk factor for blood vessel damage, atherosclerotic plaque build-up, and heart disease; while a high intake of vitamin B6 is associated with a reduced risk of heart disease. Finally, how about protection against Alzheimer's? While it is still unclear how it may afford protection against this degenerative condition, one theory is that it interrupts the production of the protein that plays a key role in the destruction of myelin, the sheath that serves to protect most nerves in the body. Other theories suggest turns on a gene that codes for the production of antioxidant proteins and the potent antioxidant bilirubin, which protects the brain against oxidative (free radical) injury. Such oxidation is thought to be a major factor in aging and to be responsible for neurodegenerative disorders. All this science supports the idea of including turmeric in our recipes more often, wouldn't you say? Turmeric is a spice with a peppery, warm, and bitter flavor and a mild fragrance slightly reminiscent of orange and ginger. It's best known as one of the ingredients used to make curry and gives ballpark mustard its bright yellow color. When it comes to selecting turmeric, organically grown is the best since this gives more assurance that the herb hasn't been irradiated. As the color of turmeric varies among varieties, it is not a criterion of quality. 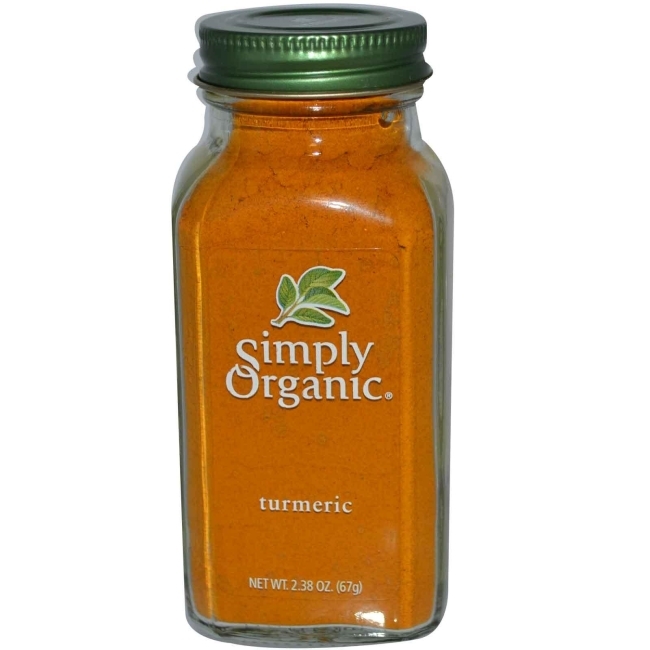 To get the most curcumin, use turmeric rather curry powder. 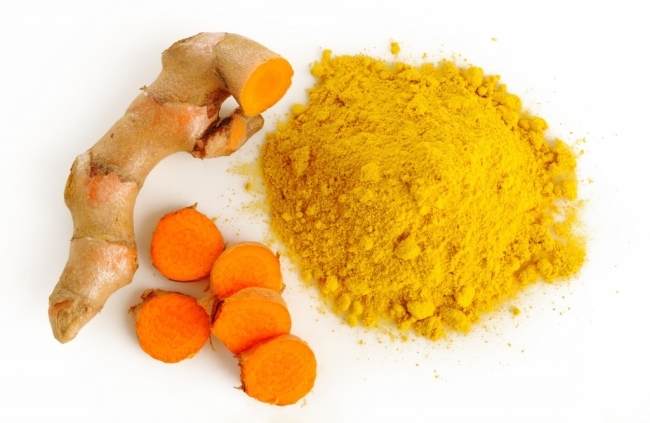 Research testing a variety of curry powders showed that with one exception, curry powders contain very small amounts of curcumin. And when storing turmeric, keep it in a tightly sealed container in a cool, dark, and dry place. Be careful when using it since its deep color easily stains. In fact, to prevent staining your hands, consider wearing kitchen gloves while handling turmeric. Sprinkle it in when sautéing apples; add it to steamed cauliflower and/or green beans and onions. For a creamy, flavor-rich, low-calorie dip, mix turmeric and dried onion with a little omega-3-rich mayonnaise, salt, and pepper. Serve with raw cauliflower, celery, sweet pepper, jicama, and broccoli florets. Add it to your lentil dishes—it's a great flavor complement.